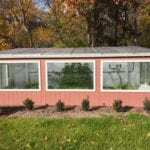 Solar greenhouse design begins with choosing the correct orientation for your greenhouse. 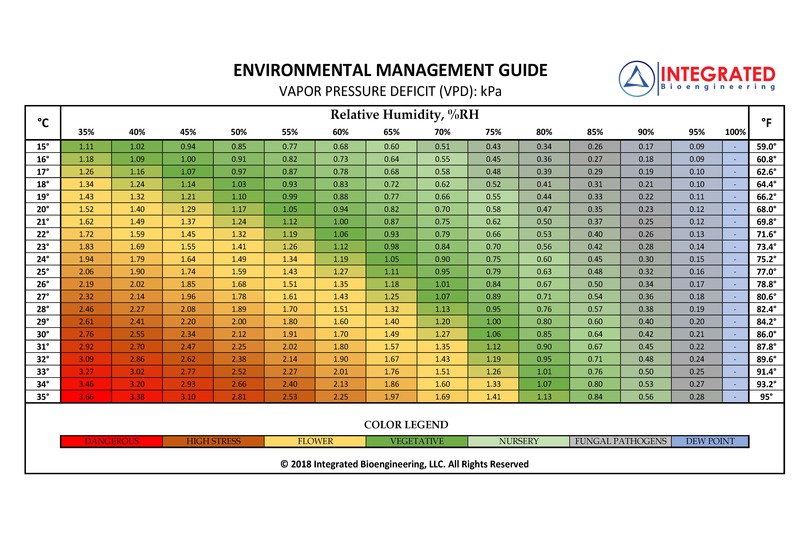 For those in the Northern hemisphere, this means maximizing Southern exposure of your greenhouse. 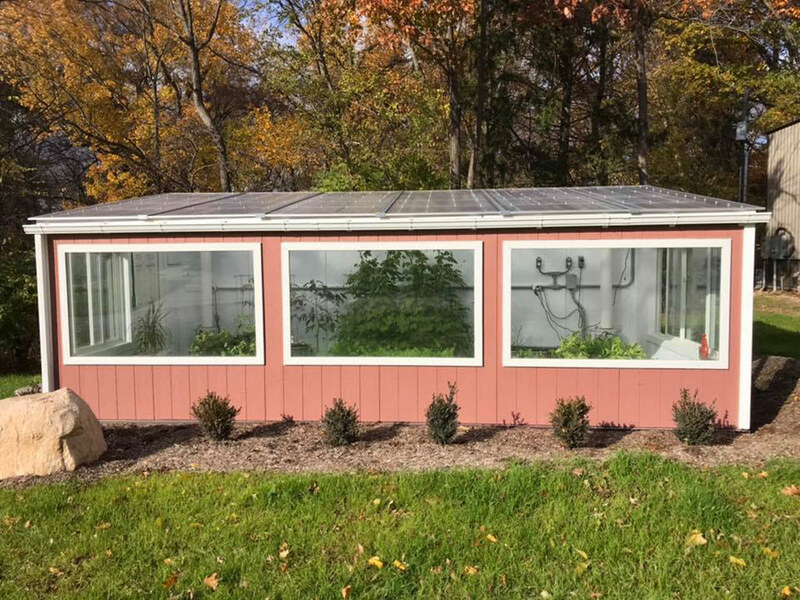 The length of the greenhouse (longer dimension) should face South as this is where the majority of light comes from in the Northern hemisphere. The North side of the greenhouse will collect little, if any light, and is best insulated to reduce heat loss. 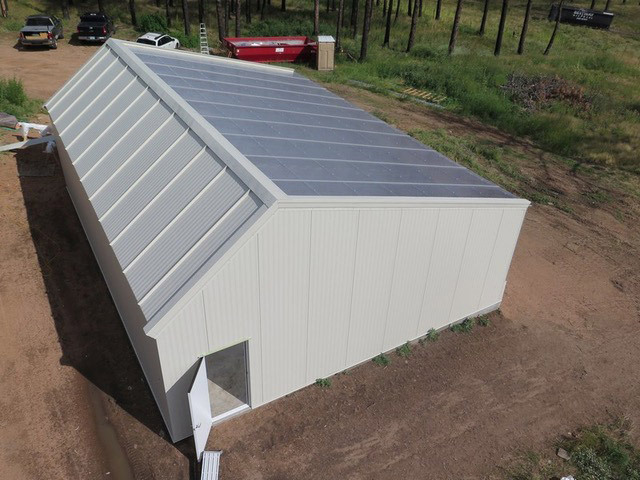 That’s pretty well-known when it comes to solar greenhouses, but beyond that there are common questions that arise when siting and orienting your greenhouse. 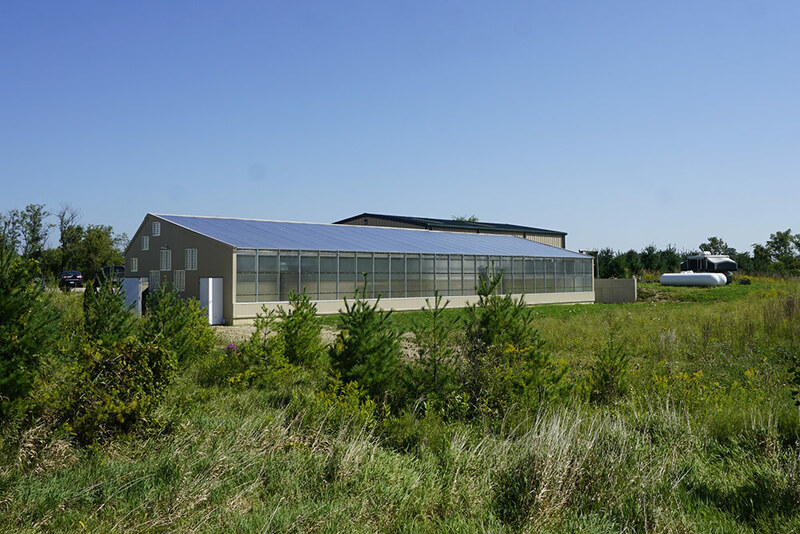 What makes a good greenhouse location? 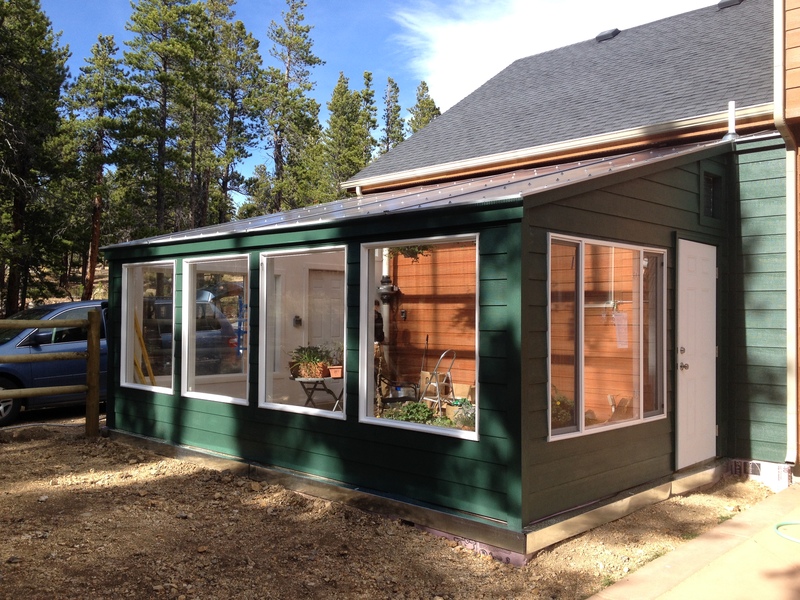 Limited shading: Identify any nearby trees or other structures that could shade the greenhouse. Note shadows are less important in the summer, when shade will be helpful to reduce heat gain. Deciduous trees can shade the greenhouse in the summer, but allow full light in the winter when they loose their leaves. 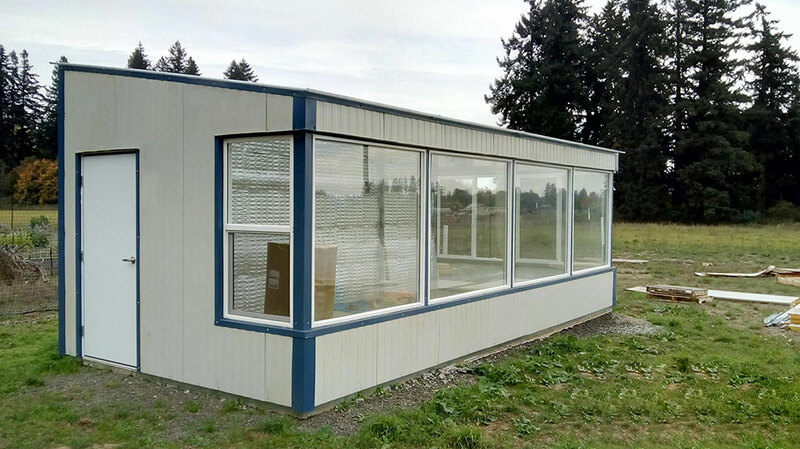 Thus, evaluate when the object will shade the greenhouse. 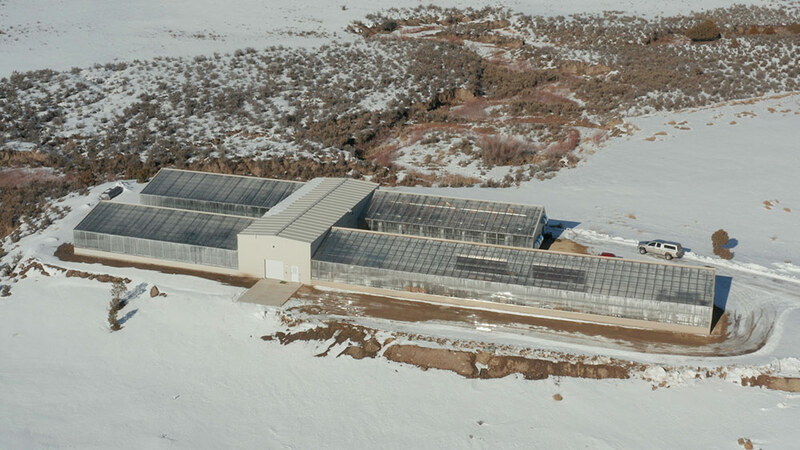 Above: The length of this attached 12 x 16 greenhouse faces South. 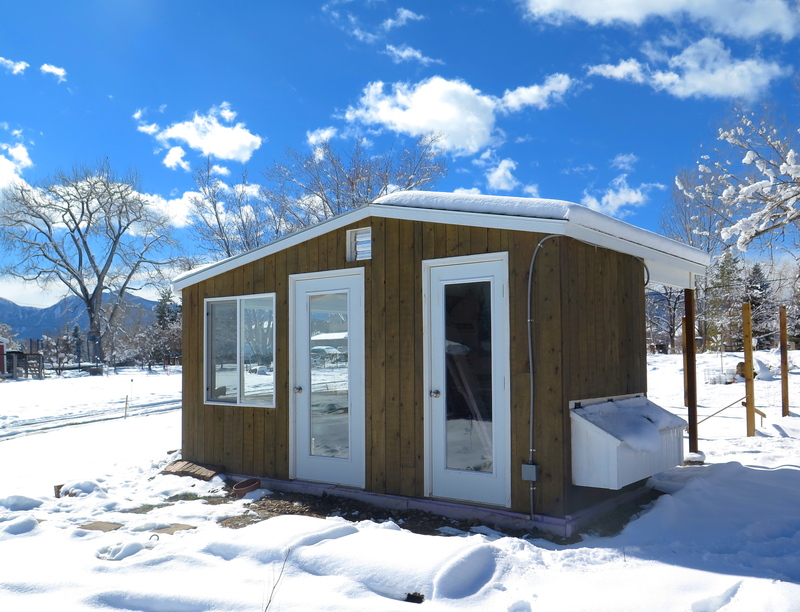 Below: You can see how little light comes directly from the North in this picture of a 10 x 12 greenhouse and chicken coop. The profound shading on the North side indicates that very little light is coming from this direction. 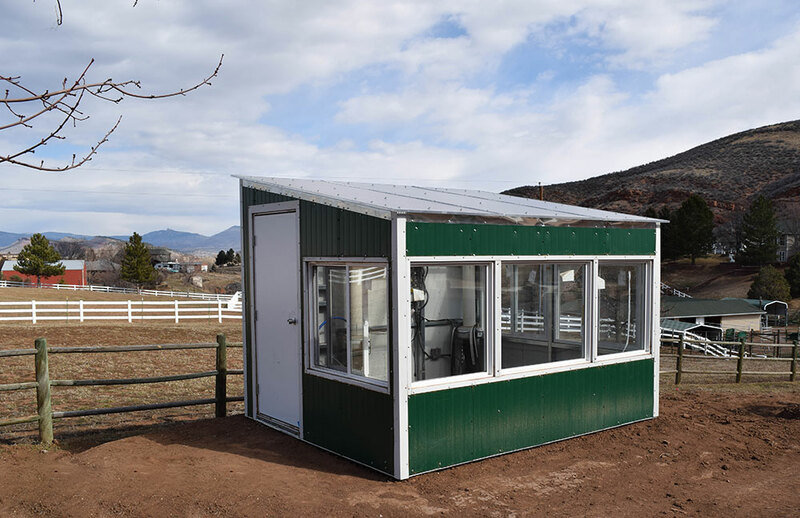 For that reason, the North side of a solar greenhouse is a good space to attach a storage shed, chicken coop or another structure that does not need direct light. 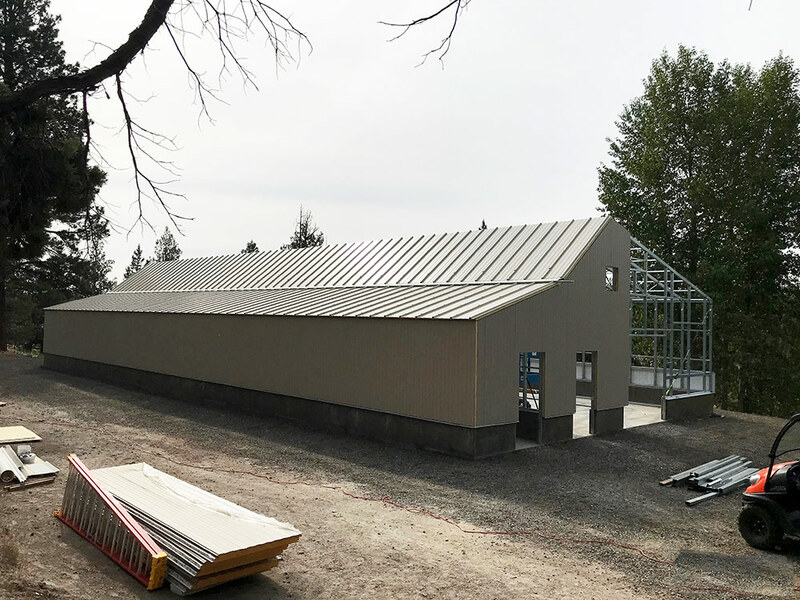 The adjoining building can provide the solid North wall of the greenhouse. 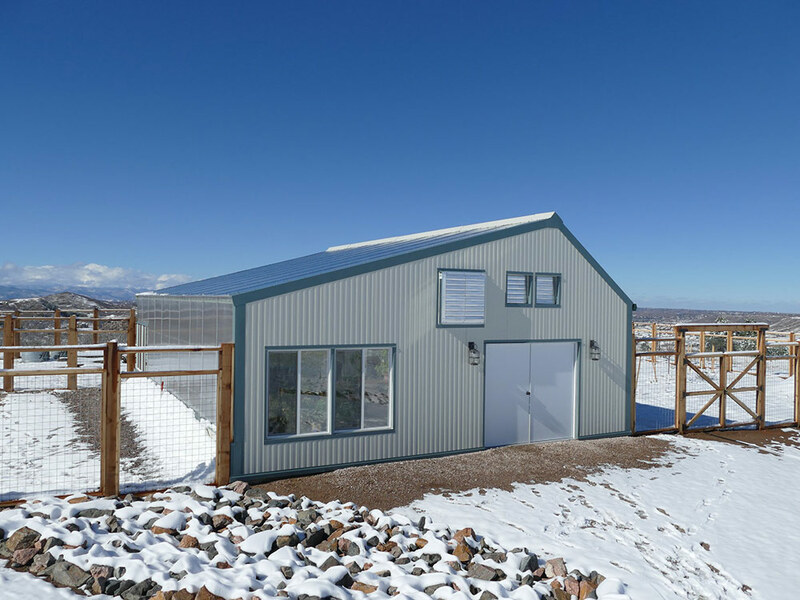 If this is already insulated, this makes an excellent protected side of the greenhouse, minimizing heat loss and exposure to the elements. 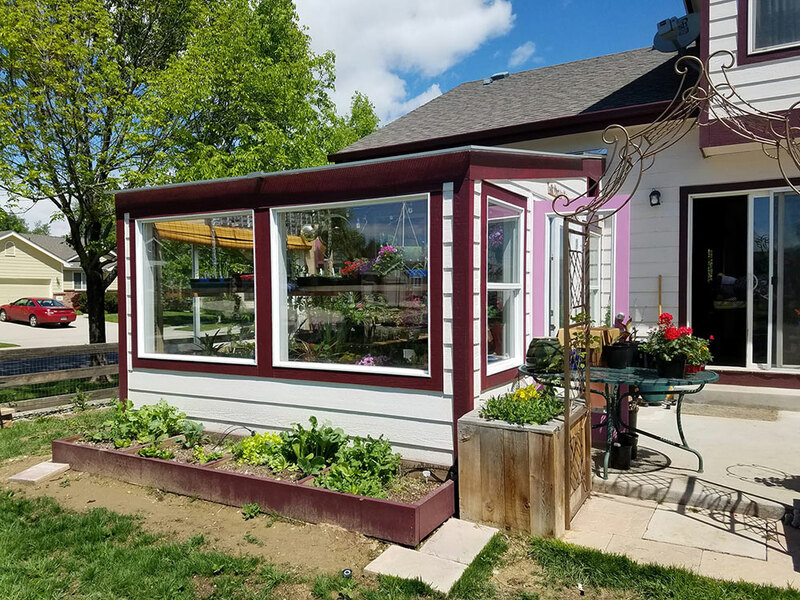 If the greenhouse can be connected to the house via an opening or door, the greenhouse acts as a source of passive heat for the home. 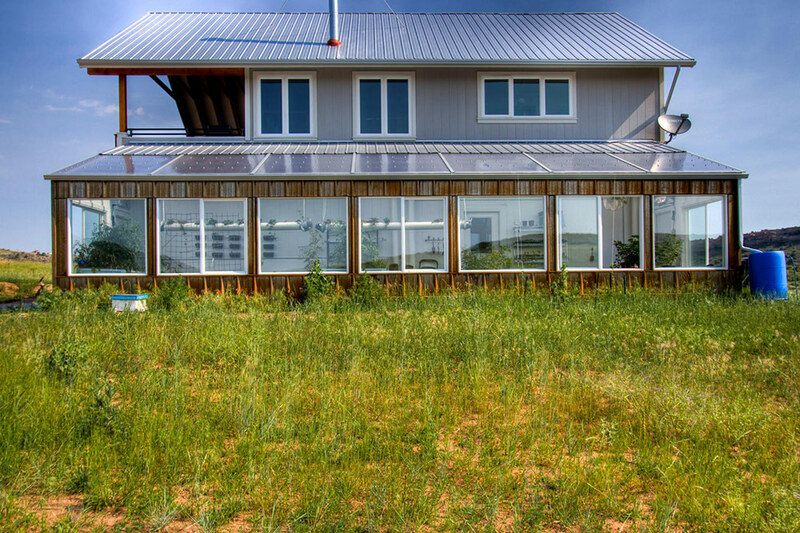 This works well in homes already using passive solar design elements like thermal mass. 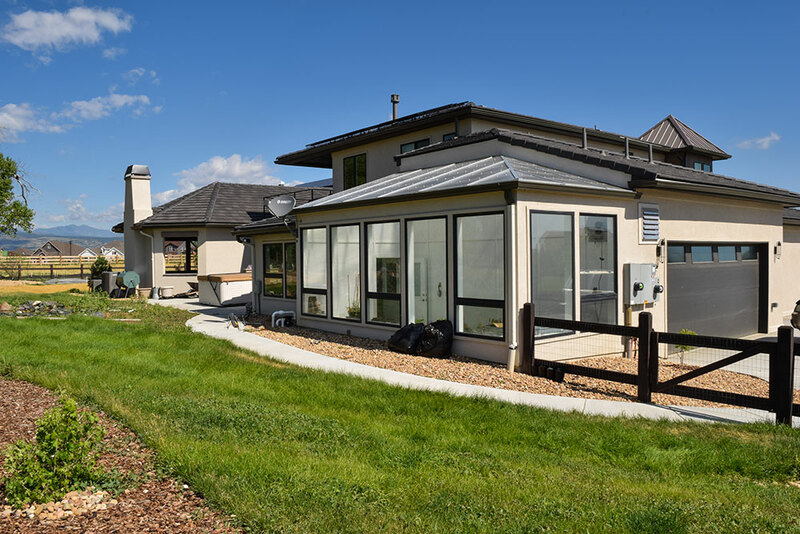 In standard homes, be cautious to use glazing wisely to not create too much heat gain or heat loss. 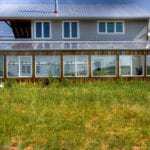 Greenhouses are humid environments and water will condense on all surfaces. 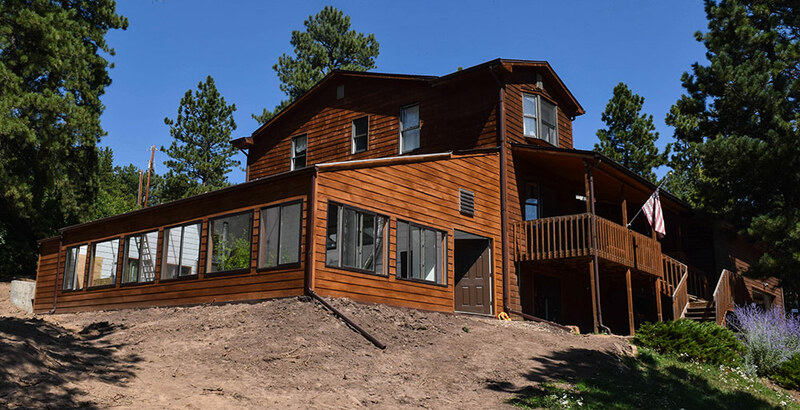 The siding of your home or any exposed surfaces need to be able to handle constant humidity. Ask us about which materials to use or how to best protect materials from damage. Building off of another structure can require a building permit to alter the existing structure. 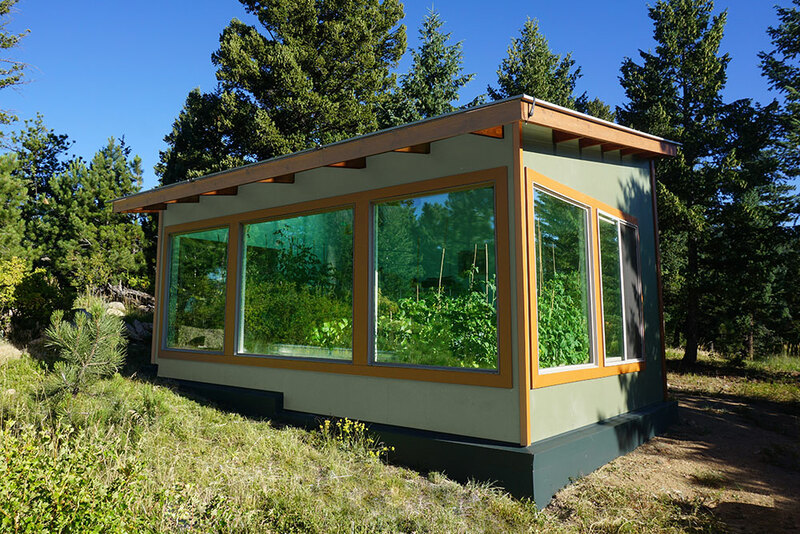 This can be more strict than a permit for a detached greenhouse. Check with your county. 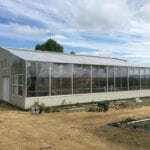 If you want the look of an attached greenhouse, but also want to avoid some of the building restrictions that come with permitting, one trick is to build the greenhouse a couple feet off the main structure and then build a false wall connecting the two (shown in the oarnge greenhouse below). You should still check with the county to find the off-set restrictions. Or you can build a small walkway between the two structures. See our photos page for more ideas. What if it can’t face directly South? Mostly South is the goal, but in cases where that is not possible a, South-West or South-East facing greenhouse is doable. South East is preferable to South West because it will get the morning sun, which helps heat up the greenhouse after it’s gotten cooler overnight. Just before dawn is the coldest part of night, so this helps the plants warm up after being stressed. Morning sun can also “wake the plants” up by activating photosynthesis with light earlier in the day. 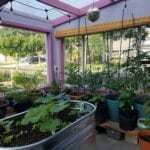 Be cautions about a South-West or completely West facing greenhouse. The afternoon can be the hottest part of the day and additional sun at this time can overheat the greenhouse. Again, this decision depends on your climate – how cold it gets and how important it is to get those first / last few rays of winter sun. 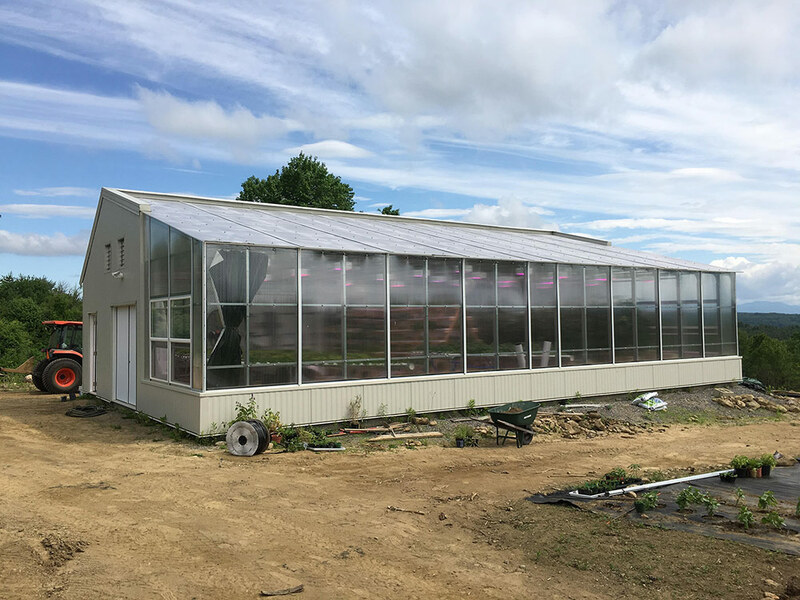 We don’t recommend building the greenhouse without adequate southern exposure — greenhouses facing due East or West – unless you are willing to accept limitations in what you grow. If this is your only option, you should plant accordingly. 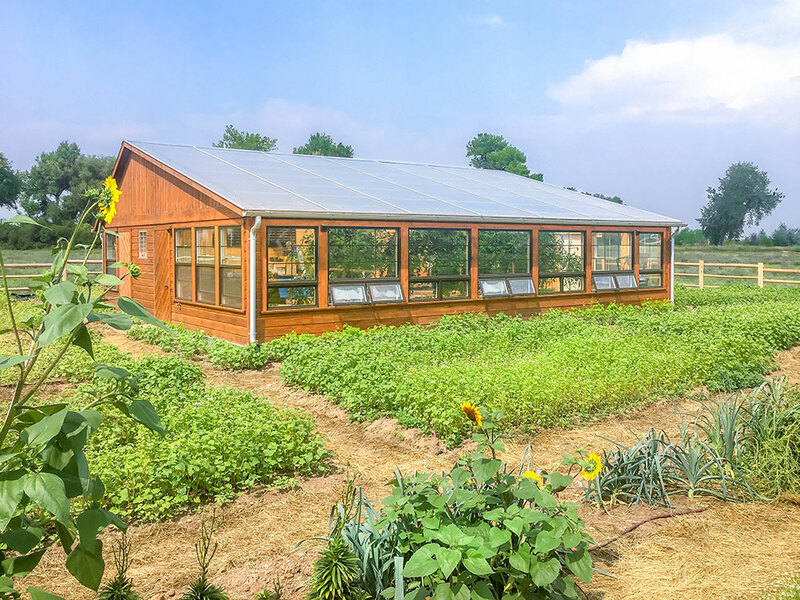 Cool-weather, low-light crops will do better in East-facing greenhouses. 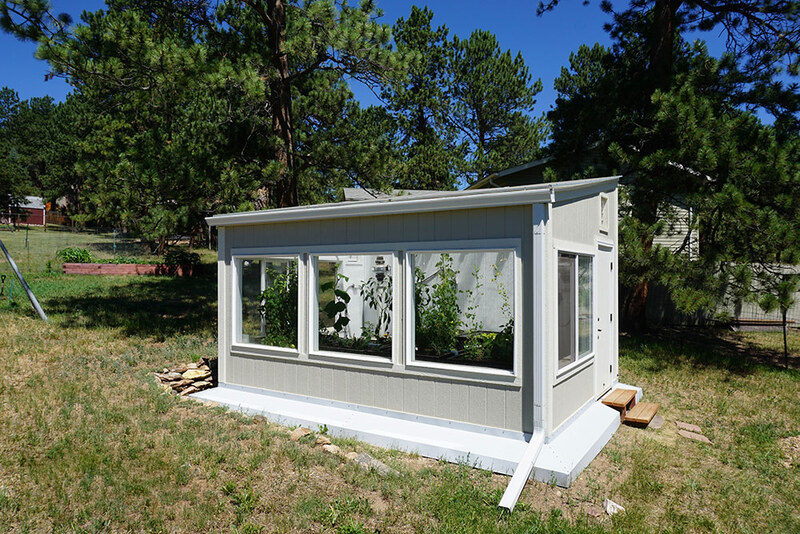 Heat-loving crops like tomatoes and peppers will do better West-facing greenhouses but you may need to supplement light to get proper fruiting. Questions about your situation? Ask us. What about a sloped site? 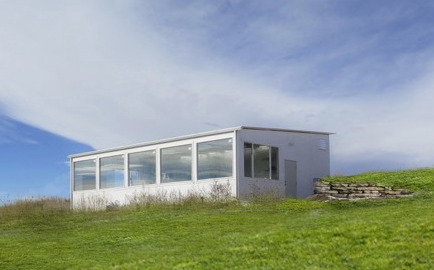 If you have a South-facing hillside, this can be an excellent spot for a solar greenhouse. The earth on the North side of the greenhouse adds insulation and protection. 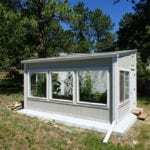 However, it does require a more time and effort in the building process. 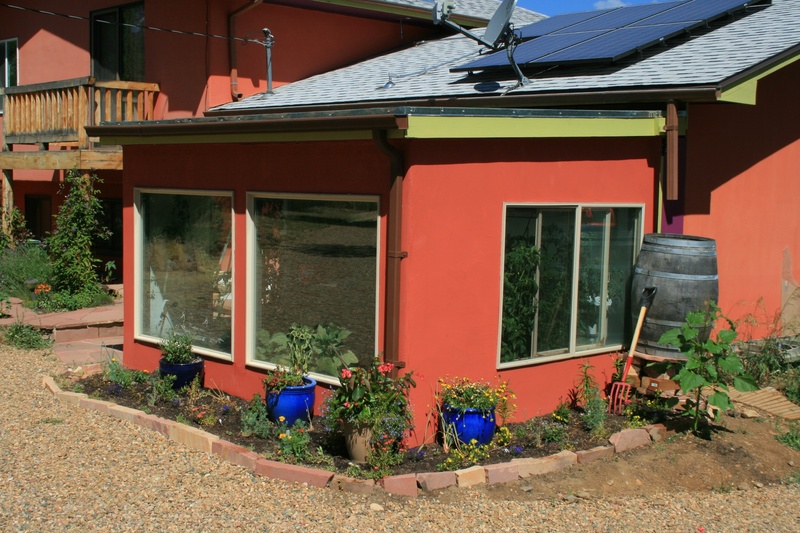 You’ll need to create a structural North wall that can handle the additional downward pressure of the soil. Usually this means building a concrete retaining wall, as shown below, in conjunction with a slab or footer. 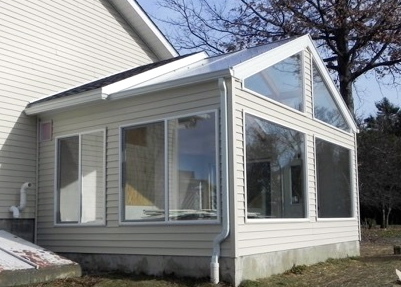 Side-walls should also be structurally supported. And all these walls should still be insulated: the ground on the other side will freeze just like the air. 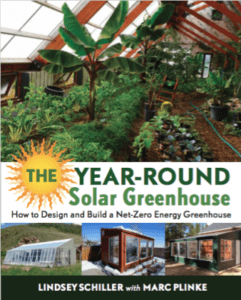 And stay tuned for the rest of our Solar Greenhouse Basics recommendations by signing up for our newsletter.